A personal blog by the Vice President for External Relations of the Institute of Physics and Engineering in Medicine. These views are entirely my own and not necessarily representative of the IPEM as a whole. 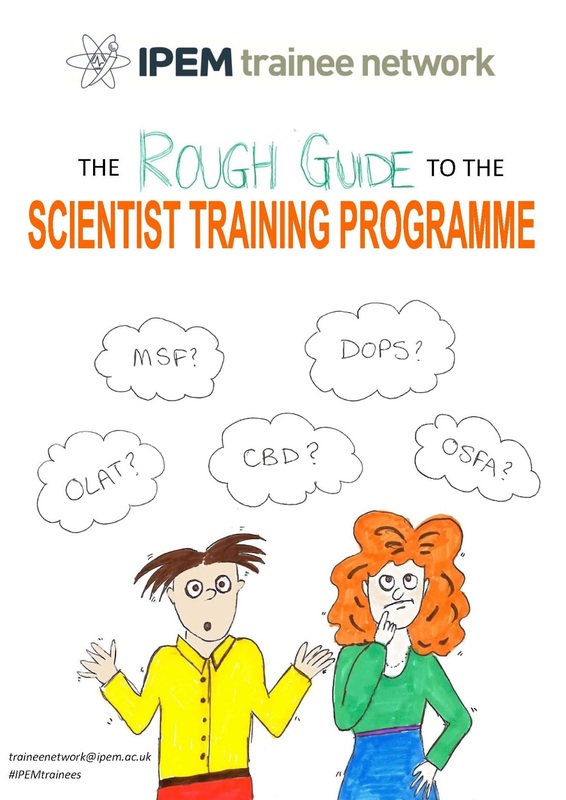 As STP trainees around me are preparing for the dreaded OSFAs, I thought I would share my Top Ten Tips to help you join the 'STP Survivors Club'. I wrote these shortly after completing my STP in 2015 for the IPEM newsletter and they were incorporated into the IPEM Trainee Network 'Rough Guide to the Scientist Training Programme'. These are purely based on my experiences and are designed to encourage enthusiastic first years, support struggling second years and revive weary third years. Please interpret my suggestions as you would the Pirate’s Code: they’re more like guidelines anyway. 1. Rotations: 3 years is ages! No, it’s not. Embarking on the STP is new and exciting and the OSFAs are a mere twinkle to worry about in 3 years’ time. Trust me it will come around incredibly fast. Set yourself deadlines and stick to them. The advised length of the rotation period is 1 year – keep it that way. The longer it drags on into year 2, the less time you have to complete your specialism and the harder it is going to be at the end. Make the most of your new trainee colleagues at other centres, especially if you are the only trainee in your year group at your centre. Bounce ideas off each other. Chat about coursework. Go to the same conferences. Keep an eye on each other’s progress. 3. Elective placement: Make the most of it. How many times in your life will you be told you have 4 to 6 weeks (paid!) to explore a different area of science and healthcare entirely of your choosing? Answer: not very many! 4. Competencies: You haven’t been asked to write a text book. Competency submissions should be evidence that you have met the requirements of the competency. For the sake of both you and your assessors, do not write a text book. A word of warning: if you set the bar exceptionally high at rotation level, how are you going to take it to the next level in your specialism? 5. Competencies: Mix and match. Some competencies were just born to be together, don’t keep them apart. 6. Project: Make it useful. Pick a project that is both useful to the hospital and to you. If the results of your project can be used for the benefit of the hospital, you will staff are more keen to help and support you. Can you use your project to sign off a handful of competencies as well? 7. OSFA preparation: CBDs are your friend. A few months before your OSFAs, introduce a weekly ‘CBD day’. Book your supervisors well in advance. Write your own CBDs and pick the subjects that you are not sure on. Is there a topic which, if it came up in an OSFA station, you heart would sink and panic would set in? Get that panic out of the way and plan a CBD based around that topic. My first OSFA station was identical to one of the CBDs that I wrote – honestly! For double benefit, discuss both of your CBD scenarios. 8. OSFA survival: Keep calm. You are bound to come across something you don’t know. Take a deep breath and give it your best shot. Remember the assessors are on your side. 9. You are good enough, you can do it and you will do it. As Tony Fisher said on our first day of the Liverpool MSc – there are thirty people that wanted to be sat where you are sat today. Of course it’s going to be tough! It’s not surprising when you think of the level of responsibility involved in the career you are aiming for. Yes, there will be times when you want to pack it all in (what’s wrong with working in Tesco’s anyway?) but keep your end goal in mind. Take on challenges, take pride in your work and, as our new IPEM President says so passionately, be innovative. This is your chance to make a difference and improve the service our NHS offers to our patients. Just because ‘we’ve always done it this way’ and ‘you’re just a trainee’ doesn’t mean you can’t make a difference. In December 2016, a worldwide twitter campaign using the hashtag #9PercentIsNotEnough was launched by the Institute of Engineering and Technology (IET) to coincide with their IET Young Woman Engineer of the Year Awards. The campaign was designed to raise awareness that women only make up 9% of the engineering and technology workforce. You may read this and assume that I am talking about the 1980s, 1990s or maybe the early 2000s but no - in 2016, only 9% of engineers were women . In 2013, the International Organisation of Medical Physics (IOMP) carried out a study into women in medical physics across the globe. They received responses from 66 countries and identified that 28% of the global medical physics workforce is female . In Europe, 47% of Medical Physicists are female, 50% in the Middle East, 35% in Asia, 33% in Africa, 24% in Latin America and 21% in the USA (median values) . 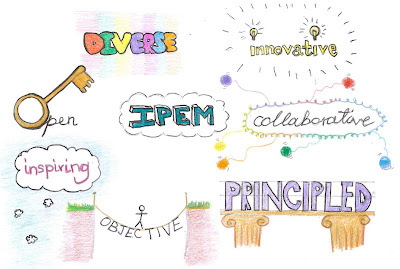 Inevitably someone reading this blog will start muttering about an 'old boys' club so I thought I would share some of the things IPEM is doing and involved with to promote equality, diversity and inclusion in medical physics & clinical engineering. 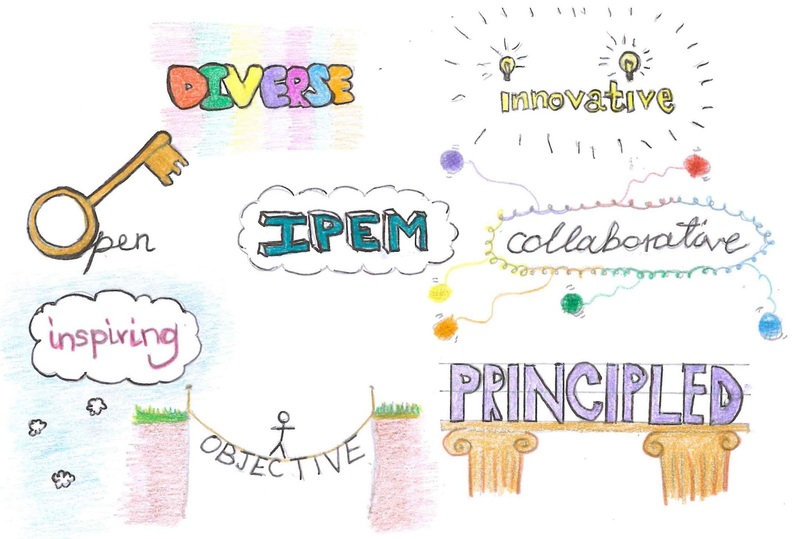 Why not head over to the IPEM website to read our Equality Policy Statement? We have our very own Trustee level Diversity Lead, Kimberley Saint, who is beavering away (watch this space!). Our July Scope issue will have an equality and diversity focus (look out for my article!) and the theme for the 5th International Day of Medical Physics (7th November 2017) is women in medical physics. IPEM actively encourages women to apply for Fellowship membership status - remember you don't have to be invited to be a Fellow! There are plenty of other exciting projects going on - visit the IPEM website to find out more. So, how are you going to #BeBoldForChange this International Women's Day? Maybe you could apply for Fellowship or encourage one of your colleagues to. There are vacancies for Vice President roles coming up in April 2017, get your application in - trust me you get more out of it than you put in. Get on twitter and share a picture of you doing something awesome (remember to tweet @ipemnews so we can see you!). Get involved in an outreach event. Perhaps you could do unconscious bias training, you may even surprise yourself (I did!). Read about female pioneers of our profession, including Edith Stoney (F. Duck, Scope, Dec 2013) and remember, we truly are "standing on the shoulders of giants" (Isaac Newton). My next blog will be all about my visit to the Houses of Parliament on 15th March 2017 to represent IPEM and CaSE at Voice of the Future 2017! The Royal Academy of Engineering, InterEngineering and Mott MacDonald have produced a series of videos profiling lesbian, gay, bisexual and transgender (LGBT) engineers. On 1st February 2017 I was invited to attend the video launch event on behalf of the Institute of Physics and Engineering in Medicine (IPEM). The whole evening was positive, inspiring and exciting. Clearly every individual in the room was proud of the work being done and passionate about positive change. The organisations involved are trailblazers and ahead of the curve. I was bowled over by the courage of all those I met who have a powerful attitude: this is me, accept me as as I am. I am an Engineer. We were welcomed warmly by Jenny Young, Head of Diversity at the Royal Academy of Engineering who introduced Lord Browne of Madingley, former CEO of BP. Lord Browne gave an inspiring and informal speech. He talked about his own experiences and said he used to think "being in the closet was a safe thing to do - I spent all my time in the closet until someone pulled me out of it!". He concluded that the process of not coming out creates bad things. The irony of not coming out earlier in his career was that, when he did come out, one of his colleagues said "we all knew you were gay, but no-one knew how to tell you!". Lord Browne highlighted the importance of "constant vigilance" with regards to equality, using the example of "inviting all the men going to play golf". We were addressed by Dr Hayaatun Sillem, Deputy Chief Executive and Diversity and Inclusivity Champion for the Royal Academy of Engineering. Dr Sillem highlighted the importance of role models and praised the report 'Engineering Action: tackling homophobia in engineering' which was presented to MPs in the House of Commons in February 2016. Dr Mark McBride-Wright, Chair & Co-founder of InterEngineering, the powerful driving force behind the project, gave a heartfelt and warming speech. He praised the 130 engineers that marched with InterEngineering in London Pride 2016 and said that there had been over 500 views of the 'What's It Like?' videos since they went live. He had also received two emails asking about how to tackle homophobia in the workplace. Dr McBride-Wright raised an interesting suggestion around expanding health and safety programmes to include mental health and inclusion. We were finally addressed by Mike Haigh, Managing Director for Mott MacDonald, who raised the issue of skill shortage and stated bluntly that "the reality is, our industry is not seen as being inclusive". He also highlighted the importance of unconscious bias training and praised the individuals that have dedicated time to promote and provide a voice for LGBT colleagues. He finished his speech by saying that he "can't imagine doing anything else other than being an engineer" and "there really is NO BARRIER to joining this profession". A resounding theme for the evening was that engineering is a career for everybody. 2018 is the year of the engineer with the launch of Crossrail. The demand for engineers is constantly increasing so the profession cannot afford not to be inclusive. There is a drive to make engineering the number one choice industry for LGBT students. The evening was a great success and all the organisations involved should be proud of what they have achieved. I was moved by the videos, the speeches and the wonderful people I met. It was a privilege to represent IPEM and our profession at this event. It was fantastic to hear the support for LGBT role models as this is something IPEM is in the process of doing. IPEM is working hard to become a more equal and diverse organisation and events like this highlight why it's so important. London Pride 2017 is in the diary - who's going to fly the IPEM flag with me? 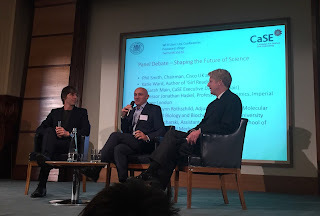 On 14th November 2016 I was delighted to attend an event entitled 'Shaping the Future of Science' organised by the Campaign for Science and Engineering (CaSE) as an IPEM representative. The purpose of the evening was looking ahead to the role of science and engineering in the next 30 years. The evening was divided into two parts, the first being a panel discussion between 6 excellently selected guests from a range of backgrounds. These guests included a Professor of Economics, the Chairman of a world leading IT company, a Professor at the London School of Hygiene & Tropical Medicine, a Professor of Molecular Biology and NASA employee, and a published author. The second part of the evening was Professor Brian Cox, Jo Johnson MP and Professor Jim Al-Khalili 'in conversation'. As you might imagine, key themes for the evening were post-Brexit science, equality and diversity within science and engineering with plenty of speculation about the technology that might be available to us in 30 years time. Phil Smith, Chairman at Cisco discussed the ever developing 'internet of things', stating that, in the first 3 months of 2016, more cars were connected to the internet for the first time than phones. Katie Ward read an excerpt from her book 'Girl reading', a chapter of which is set in 2060 where life can either be lived in 'real world' (note, not 'the' read world) or in an augmented reality called 'mesh' which can be viewed through 'iSpecs' or helmets (for children who haven't worked out how not to walk into real walls). Katie Ward's book will definitely be going on my Christmas list. One of my favourite analogies of the evening was by economist Prof. Haskel. He used a wonderful example to illustrate the perception of science and engineering by those not in the science community and some of the associated illogicality. Historically, when taking a lift, you would press the button and wait. Once the lift arrives, everyone piles in and the lift stops at every required floor up to the top of the building. Many modern lifts now use algorithms to decide which lift to get in to in order to get to the required floor. This is more time efficient for all parties and ensures the lifts are not over capacity. However, when someone who arrives after you gets in the lift first, you feel aggrieved, despite still arriving at your destination faster. The scientists on the panel discussed science communication and public engagement. I believe the predominantly pro-EU science and engineering community are worried, panicked and demoralised by the apparent lack of support for science and engineering which was demonstrated by the referendum result. Please pardon my wide sweeping generalisations which are likely to be criticised, these are my personal views. One of the panel speakers identified that "we have completely failed to communicate to the man on the street the importance of science and engineering". It was surprisingly reassuring to hear Katie Ward, who bravely shouldered the role of 'non-scientist' and 'representative of the art community', reassuring us that we have "great support with the public". She went on to say that we "just need to tap into it through the right narratives". The second part of the evening was a 'conversation' between Professor Brian Cox, Jo Johnson MP and Professor Jim Al-Khalili. I was unaware that the Minister of State for Universities, Science, Research and Innovation is not actually a scientist, instead describing himself as an "amateur enthusiast". It became apparent very quickly that the key discussion themes would be Brexit, science education, international students and diversity within STEM subjects. It was unanimously agreed that practical, hands on science is the best way to engage children, with Prof Cox saying "once you start doing science, that's when you get the bug". A humorous part of the evening was Jo Johnson discussing 'Boaty McBoatface', suggesting to the audience to "never ask a question to which you already know the answer". Similar themes to the earlier panel discussion were identified regarding science and engineering post Brexit. Both Prof Cox and Jo Johnson agreed that "the public didn't vote one way or the other about science" and "science wasn't on the ballot on June 23rd". Prof Cox suggested that the message that "we are not a xenophobic country" was not being portrayed well. Jo Johnson countered this by reiterating that there is no cap on international students and that we are second in the world after the USA in terms of international students. It got a little heated when Prof Cox suggested international students be taken out of the immigration tariffs as this was indirectly capping the number of international students. STEM subjects in schools were discussed at length, clearly a subject Prof Cox is passionate about. He suggested that education is a national security issue and identified that "funding in education requires a step change". Jo Johnson went on to discuss some of the initiatives being introduced, such as a non-interest bearing financial product for those that may be unable to take student loans for religious reasons. He also mentioned the new Office for Students which will promote equality of opportunity. Girls in STEM was raised by an audience member and Prof Cox highlighted the importance of avoiding unconscious bias. Jo Johnson apologised for not including a female scientist in his speech at a CaSE event earlier in the year and reiterated the importance of making the most of female role models. In summary, the evening was an interesting, diverse and exciting event which brought together a wonderful mix of panellists to discuss the future of science and engineering. Whilst inevitably the evening revolved around the concerning political developments of the last few months, I believe that most attendees left feeling positive about the future of science and engineering. It was a privilege to represent IPEM at such a well organised event and I look forward to doing so in the future. I completed my undergraduate BSc in Physics at Imperial College London in 2012, before undertaking the Scientist Training Programme at University Hospital Southampton. One component of my training was a Medical Physics MSc at the University of Liverpool. Having finished my training in 2015, I became a registered Clinical Scientist in the New Year. I now work in Radiation Safety at Barts Health NHS Trust. My passion outside medical physics is sailing, a sport which I have enjoyed since I was 11 and will still be doing when I'm 111 (hopefully!). 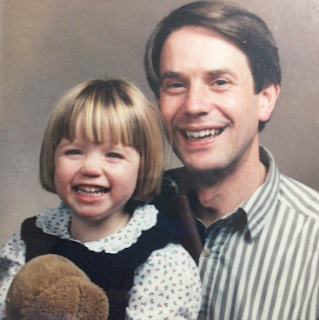 I first became a member of IPEM when I was a student and decided I wanted to turn my love for medical imaging into a career. I've volunteered for 3 years on the Trainee Network Panel. Some of you may have come across me before, possibly wearing a yellow/fluorescent green T-shirt when flying the flag for the Trainee Network or maybe you've watched our ice bucket challenge video... filmed in GLASGOW. (I mean whose idea was that? Could we have picked anywhere colder?!). My term on the panel came to an end earlier this year so I was looking for another volunteering role within IPEM. Anna Barnes (2013-2016 VP External) sent an email round on the mailbase advertising the role of VP External and I couldn't resist. I hope that, although not as experienced as many other VPs, my endless enthusiasm and commitment to my profession will be enough for me to leave my mark and make positive change. As the youngest VP IPEM has ever had, I believe this shows how IPEM strives to become a more inclusive and diverse organisation and I look forward to developing this over the next three years. Right: DAP measurement on a general x-ray unit... which button do I press again?? Fiona Wall is a registered Clinical Scientist working in Radiation Safety at Barts Health NHS Trust. 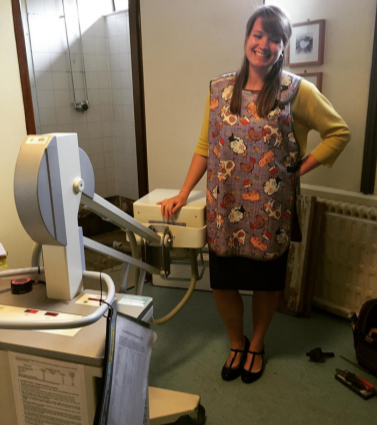 She completed the Scientist Training Program in 2015, alongside her Medical Physics MSc at the University of Liverpool. Fiona took on the role of Vice President for External Relations of IPEM in September 2016, having previously been Vice-Chair of the IPEM Trainee Network Panel. In her (somewhat limited!) 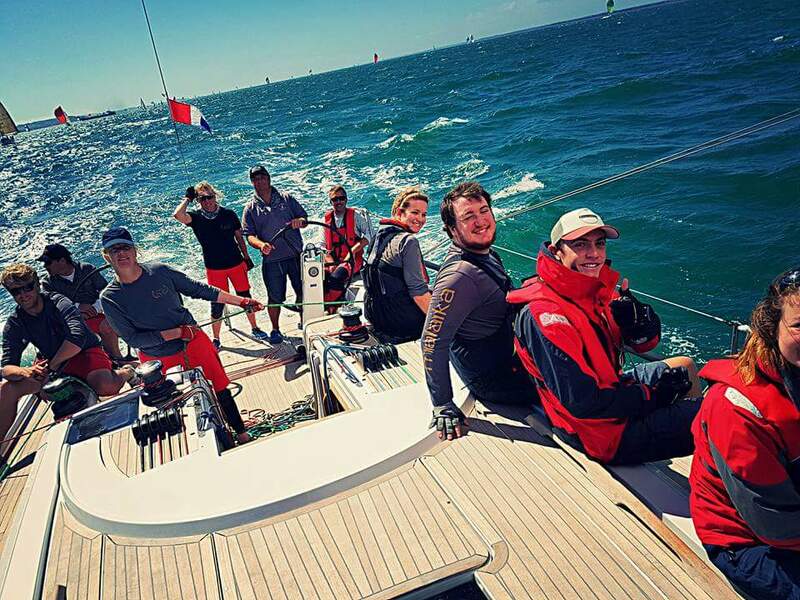 free time, Fiona can be found sailing on the south coast of England.